Bombay Chopstix brings the aroma, flavors and exotic recipes of Indian Chinese cuisine by blending the comfort of China with the spice of India. Billed as the "Wok That Rocks", Bombay Chopstix offers a great combination of Chinese and Indian food for all tastes. 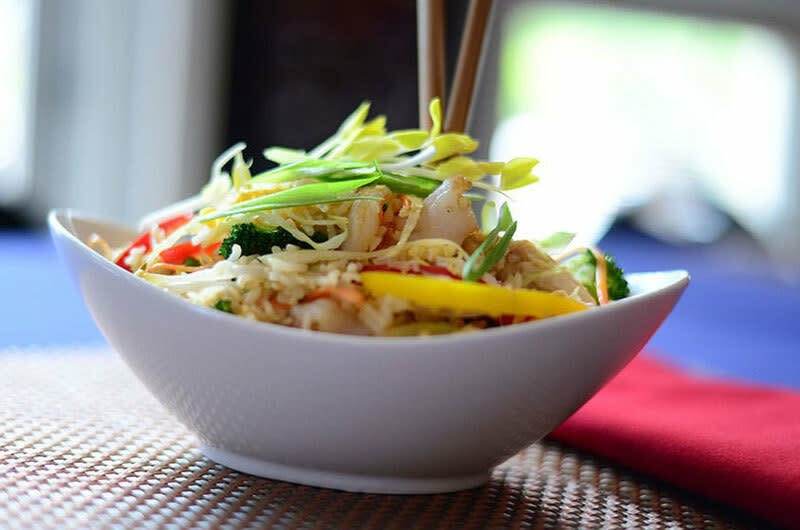 In addition to a number of signature dishes, such as Tomato Chili Paneer and Crispy Peking Lamb, Bombay offers more commonly-known favorites such as lettuce wraps (vegetarian and non-vegetarian), egg drop soup, and noodle dishes.